Alabama, Oregon, Florida State and Ohio State have been selected to play in the first College Football Playoff. 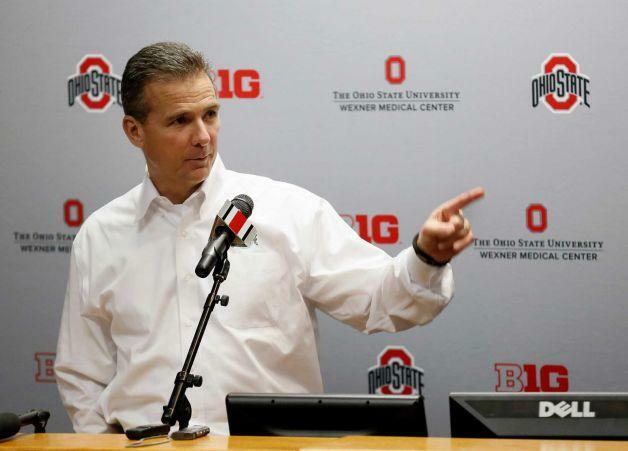 Buckeye coach Urban Meyer says it was a tense experience as the results came in last night. While he feels good that more teams like Ohio State have a chance at the national title, his attention quickly turned to what he thinks is a big downside of the new playoff format. Alabama is the top seed and will play Ohio State in one semifinal at the Sugar Bowl in New Orleans. Oregon is the second seed and will play Florida State in the other semifinal at the Rose Bowl in Pasadena, California. Both games will be played New Year's Day. The winners will advance to the national championship game to be played Jan. 12 at the home of the Dallas Cowboys in Arlington, Texas.